Plastic Free Greece was founded in September 2017 with the mission to raise awareness about the harm of single use plastic in Greece. In this first year we have created a very engaged community: we have a big social media following (16,000 on Facebook, 2,500 on Instagram), we communicate with an ever growing network of schools and communities all across Greece (348 at the last count, 14 of which are in the Cyclades), we have encouraged hundreds of beach cleans, and we have formed alliances with similarly focused organisations both within and outside of Greece. In order to maximise our impact and get our message to as many people as possible, we decided to educate and provide individuals with tools to make a difference in their immediate community. To this end we decided to buy the rights of certain acclaimed documentaries, place Greek subtitles on them and distribute them to schools and communities in Greece for free. Our network of 348 schools and communities have watched “A Plastic Ocean”, “Straws”, and “Plastic China”. Our material is accompanied by presentations that support the teachers / community leaders in the discussion of the plastic pollution problem and we offer suggestions for activities following the screenings, such as to organise beach/ park/ roadside clean ups, to encourage students / community members to convince local shops to eliminate single use plastic and to involve local politicians to be part of the solution. We believe that if everyone understands and takes ownership of the problem, it will be easier to solve. In the Cyclades specifically, our documentaries have been watched by numerous grades at 11 schools on Paros, Antiparos, Schoinoussa, Sikinos, Naxos, Kea, Sifnos, Amorgos and Mykonos. In fact, the school at Schoinoussa, boasting a total of only 7 students K-12 grade, was one of the first schools in Greece to watch “A Plastic Ocean”! We also work with 3 local organisations to recruit additional teachers and community leaders: Sustainable Living Paros (Paros), All For Blue (Mykonos), and Plastic Bottle It (Schoinoussa). (1)THE LACK OF POTABLE WATER. The reliance on plastic water bottles is exacerbated by the huge numbers of tourists during the summer months. More effort must be made to create desalination plants (for example why has the solar-powered, award-winning desalination plant “Hydriada” off the coast of Iraklia never been put to use and has been languoring in the Aegean since 2008? What local interests would be hurt by its successful operation?) and to increase the number of public water fountains (such as the ones on Ios). It is imperative for local municipalities to support such efforts and to educate locals that these water sources are to be trusted and, in fact, preferred. For example, the one in Antiparos has never been used and is now in such a state of abandonment, that no one would ever consider going near it, let alone drink from it. (2) THE LACK OF PROPER LANDFILLS. Images abound with plastic garbage flying over landfills, or with people throwing garbage in “self-made” landfills, or with bins overflowing garbage that is not collected often enough. Waste management is crucial for these small island communities. (3) THE LACK OF RECYCLING. Although some Cycladic islands do have recycling, more effort should be made to organise the transportation of reyclables to nearby recycling facilities. While there are many challenges ahead, our task is to educate as many people as possible. All our activities would not have been possible without the financial support of like-minded individuals and organisations. Plastic Free Greece has no political affiliation and depends on private donations. We are very grateful for the support of the Cyclades Preservation Fund. 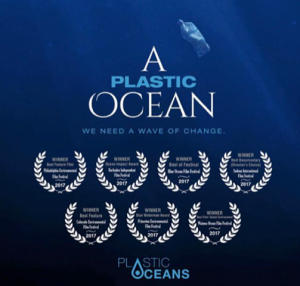 Your contribution this year has secured the distribution rights to “A Plastic Ocean” for an additional scholastic year (which we estimate will be viewed by about 100 – 250 students in the Cyclades and 7,000 – 20,000 students across Greece) and for the rights of two additional documentaries for the coming terms. With your support we were also able this past summer to print and place clean up boards on many Cycladic beaches, which encouraged beach visitors to a #2minutebeachclean whenever possible in order to keep our #plasticfreeCyclades as beautiful as they are meant to be. We look forward to working closely with you in achieving our common goals in the years to come!